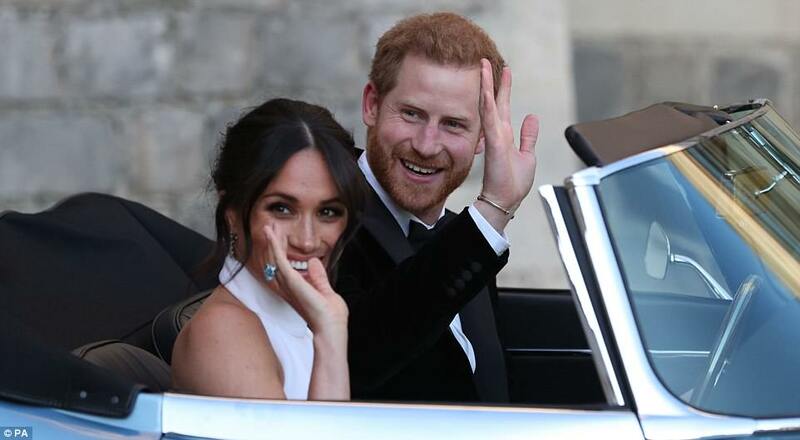 The new Duke and Duchess of Sussex, Meghan Markle and Prince Harry looked amazing as they stepped out for their wedding reception in Windsor this evening. 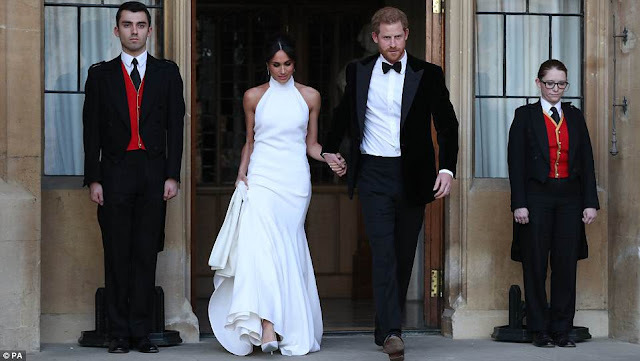 Meghan looked amazing in a bespoke Stella McCartney high neck lily white gown in silk crepe. 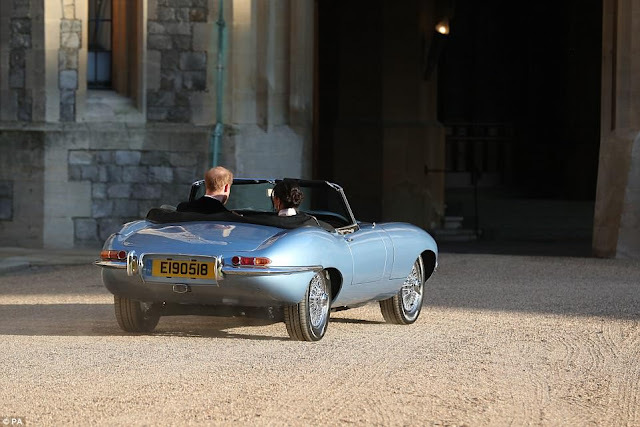 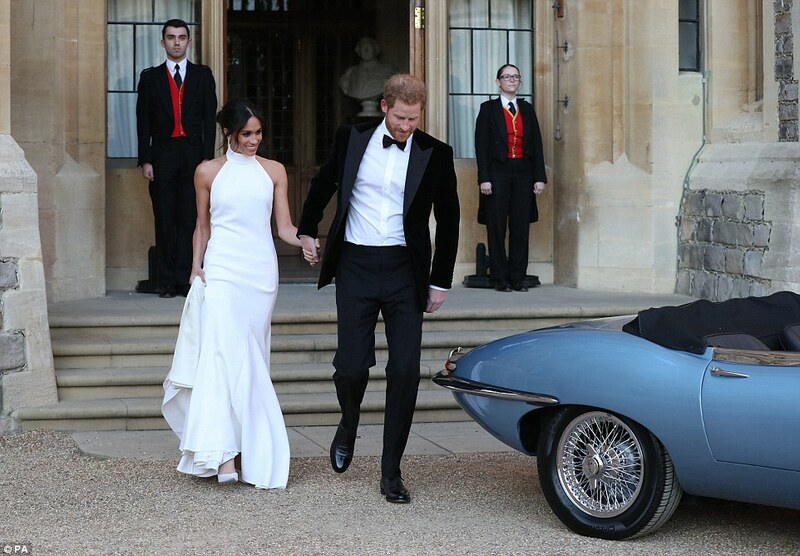 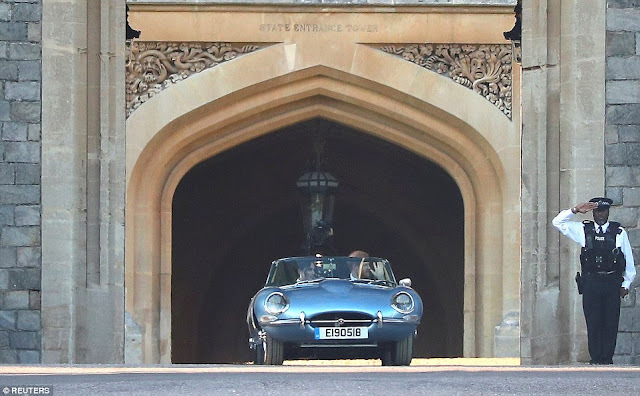 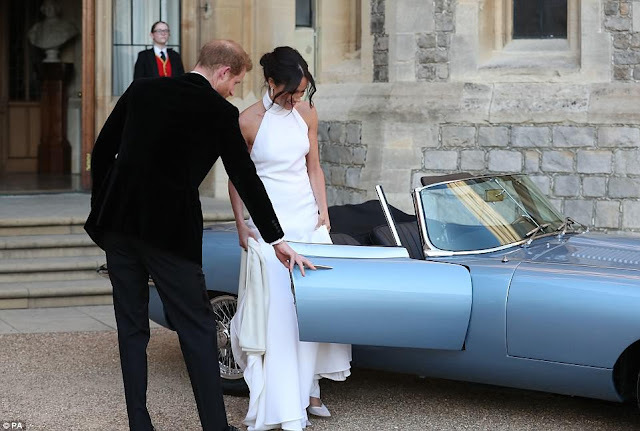 The newly weds drove in a silver blue Jaguar E-Type Concept Zero, which was originally manufactured in 1968 and now runs on electricity, to their reception at Frogmore House, a 17th-century venue in the grounds of Windsor Castle.